Fundraising for Children’s Cancer Charities is something myself and my wife have been doing for a while now since our little boy Finley was diagnosed with Kidney Cancer at 8 months old almost 2 years ago now. 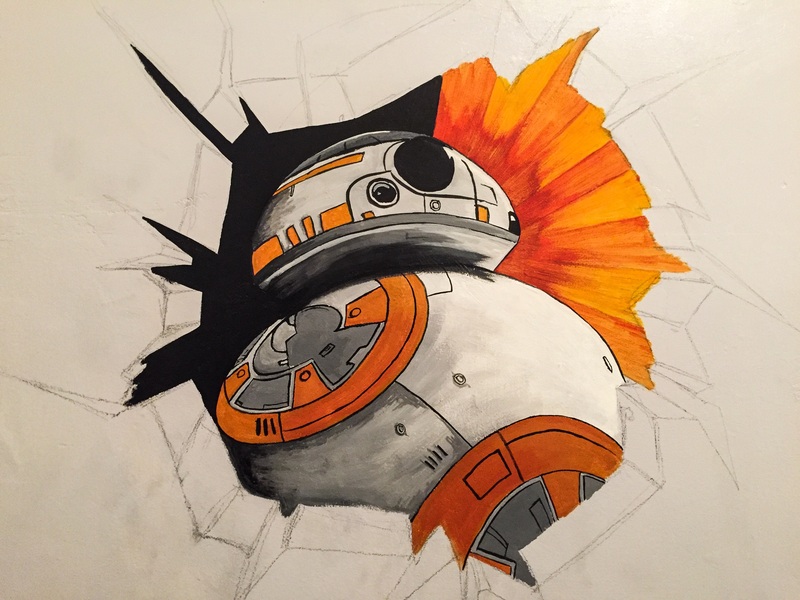 So when the Toma Fund approached me for something to raffle or giveaway at their latest Charity Ball I snapped at the chance to give something back, something I am really good at (if I do say so myself). Visit the Toma Fund’s Charity Ball Event Page for more information. 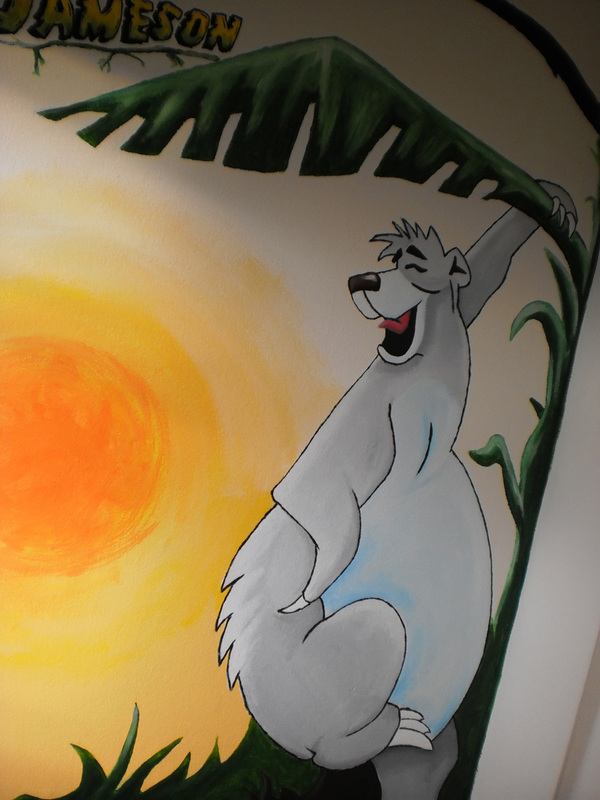 I have heard the mural prize maybe raffled or even auctioned – it will be interesting to see how much it goes for if it is auctioned and I just hope it raises some great funds for the Toma Fund. 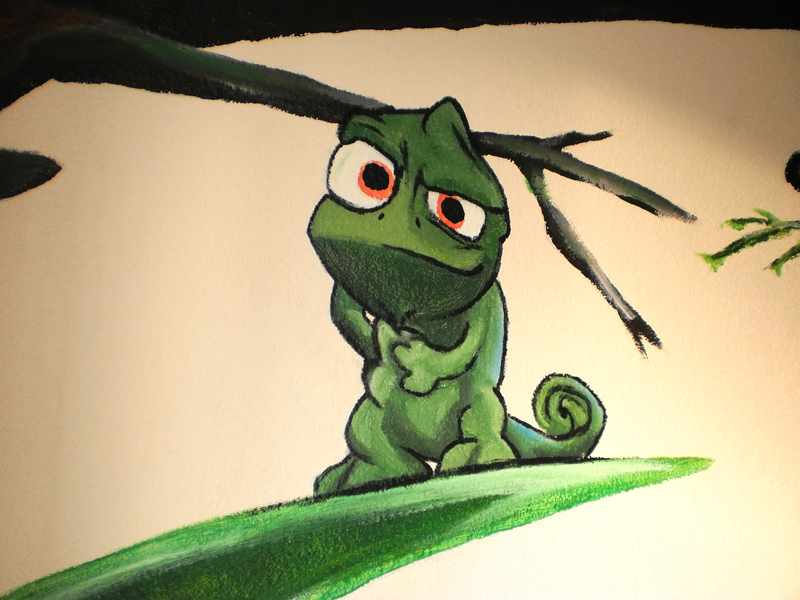 I will look to share the final mural once I find out who the winner is and what they want – so watch this space! 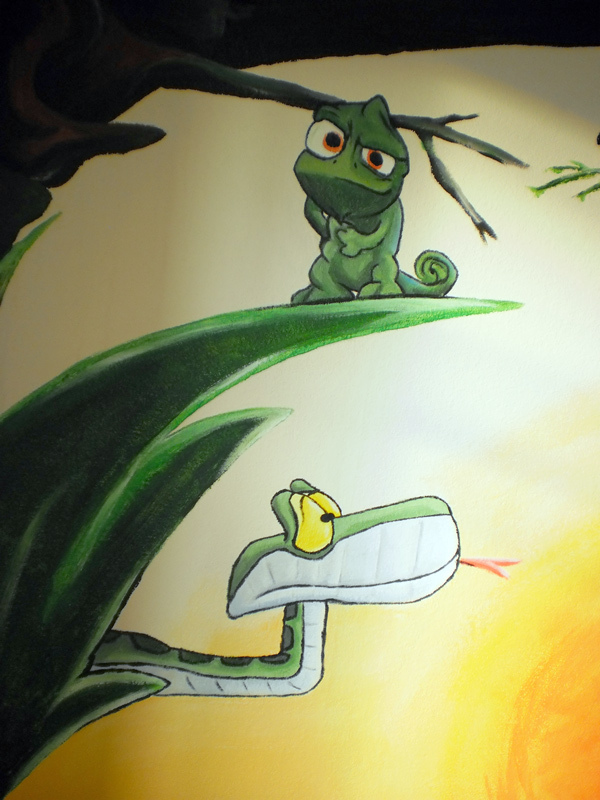 With time and budget a concern, the brief for ‘Breakout Characters’ was to produce a design idea that would not require full painting of the wall selected. 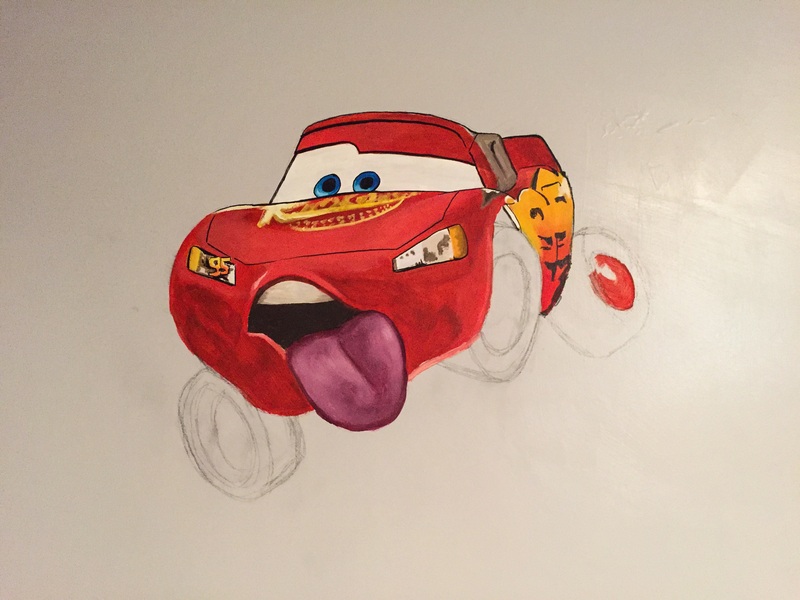 It was however to include a number of the brothers favourite characters or current trends, in this case Spongebob, Lightning McQueen, Pumbaa, Stickman, Spiderman and BB8. 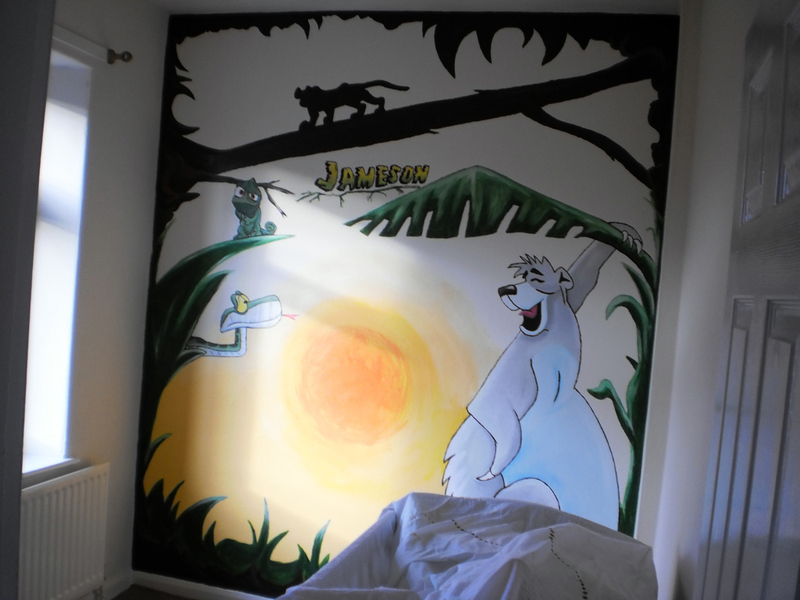 Jameson’s Jungle Mural was my first move into the world of wall art. 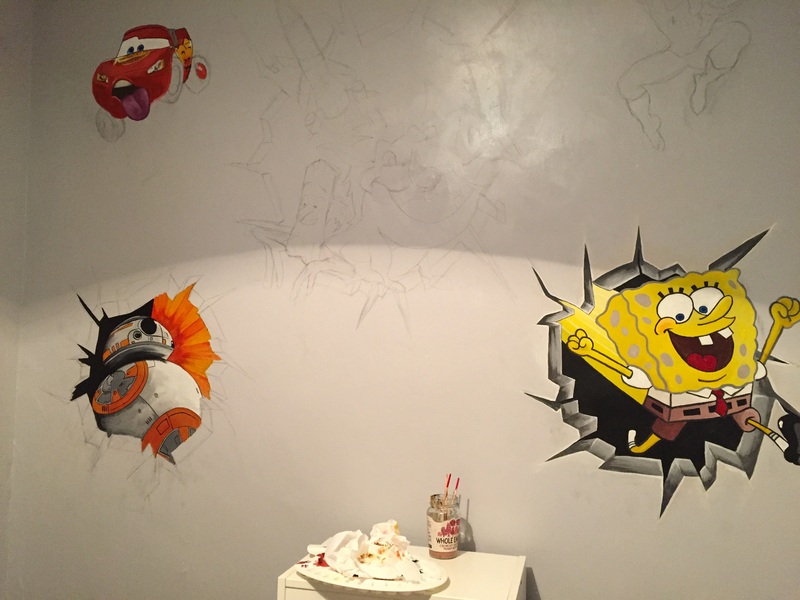 As an artist and designer who wouldn’t want to paint a mural in your first child’s nursery before they were born. 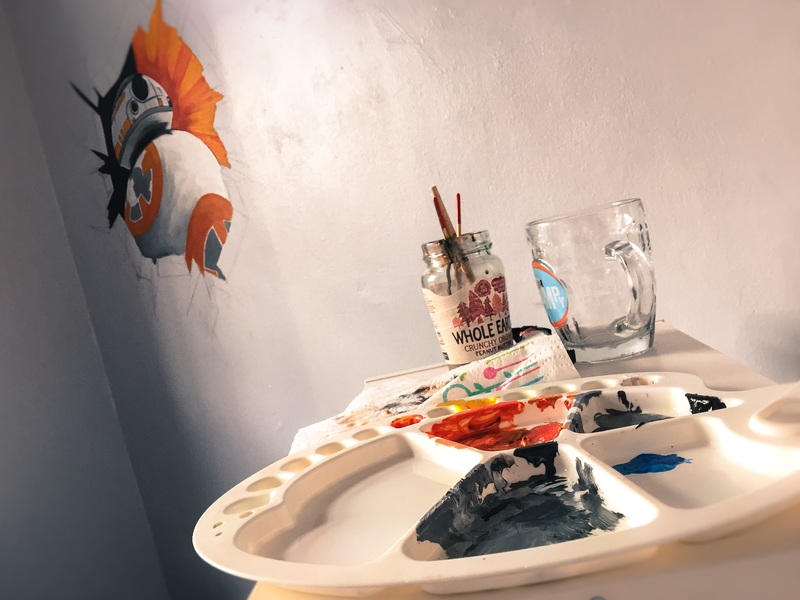 Not only did the imminent arrival of my first born give me the drive to redecorate and finish his nursery, but it gave me the ideal opportunity to get back to my artistic roots. The brief was clear (from my wife), a jungle themed design with a gentle tone for a baby boy plus to keep in mind the centre piece being where the cot would be placed. 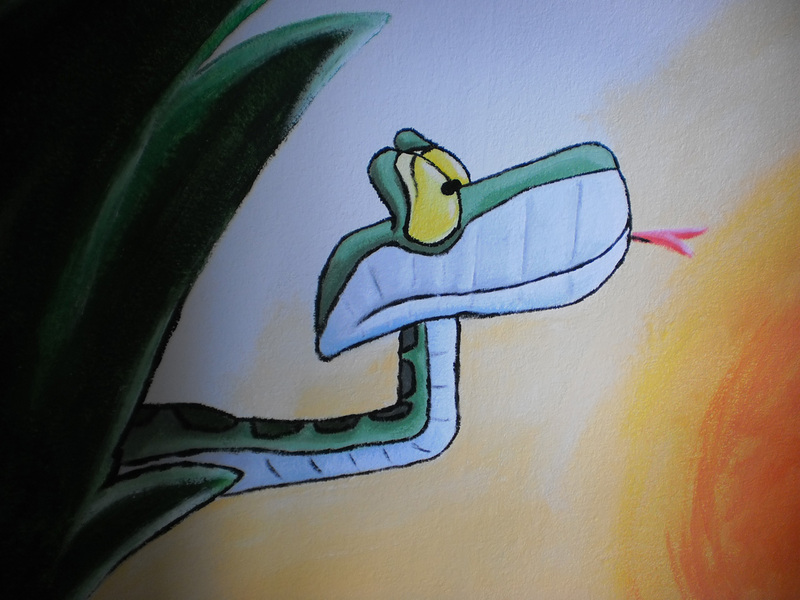 Of course being a huge Jungle Book fan and just recently watched Tangled from Disney, the influence was clear. 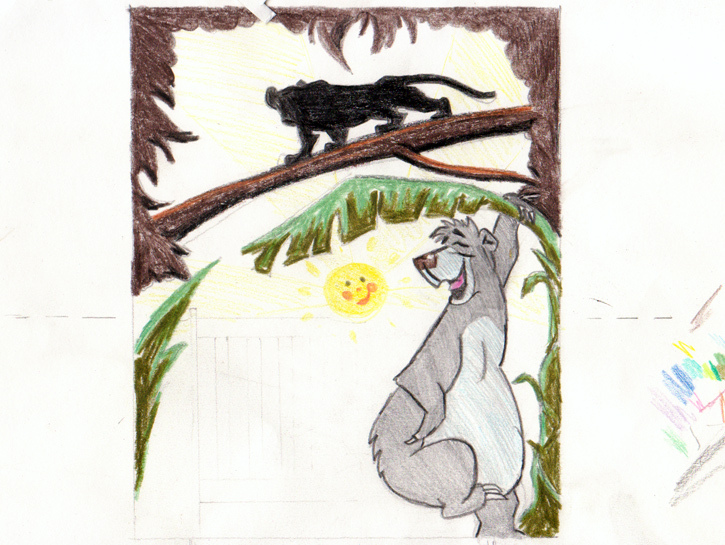 Baloo became the guardian of my son hanging the leaves of a tree over my little-one each and every night, keeping him safe with Bagheera watching over them in a tree high up.